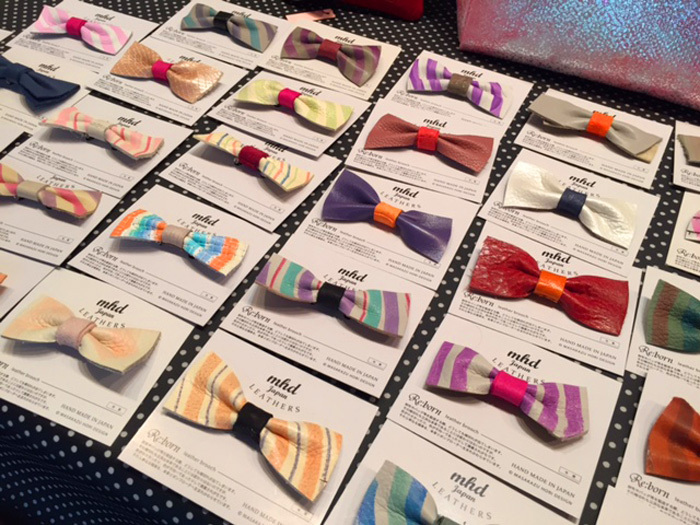 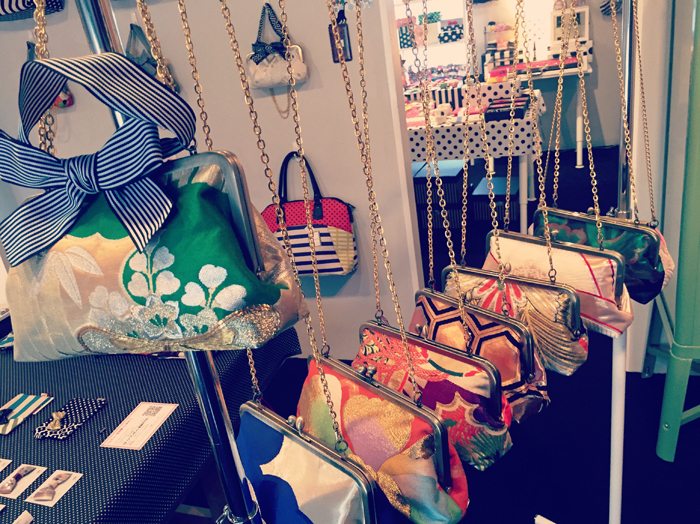 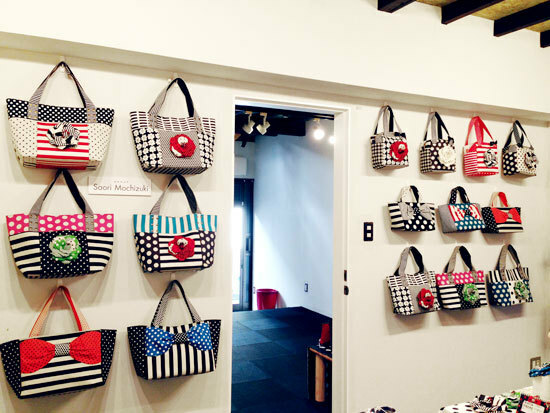 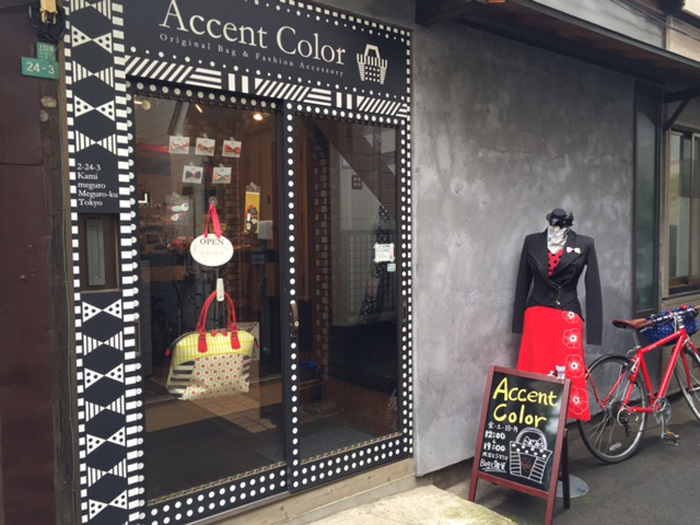 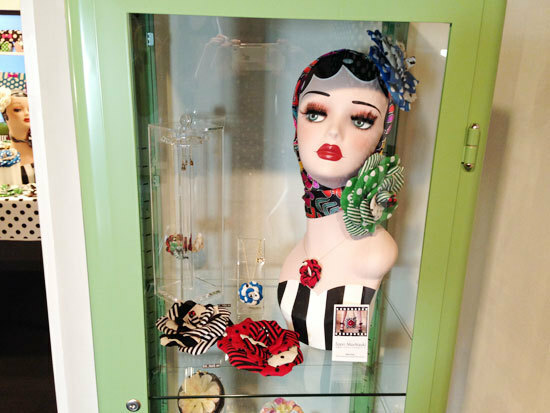 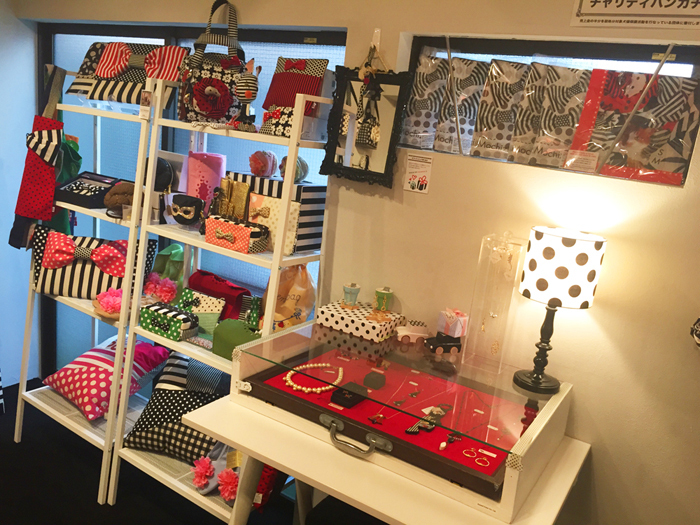 We're the multi-brand fashion shop in Nakameguro, Tokyo, which is run by a bag designer, Saori Mochizuki. 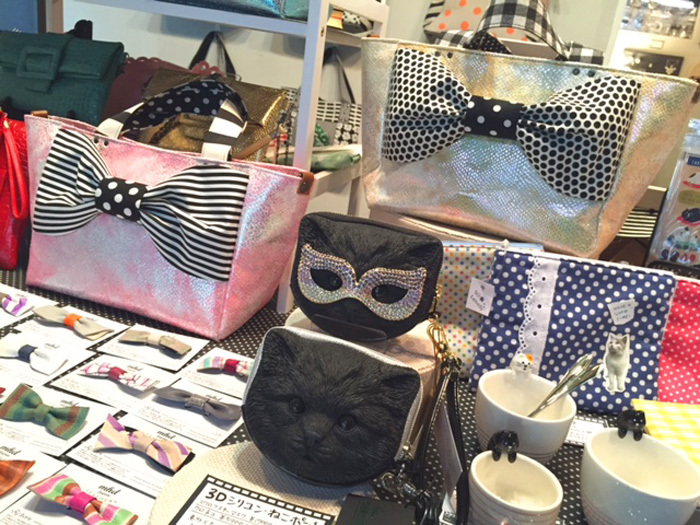 We love polka-dots, borders, stripes & cats because they're the symbol of Saori Mochizuki's bag. 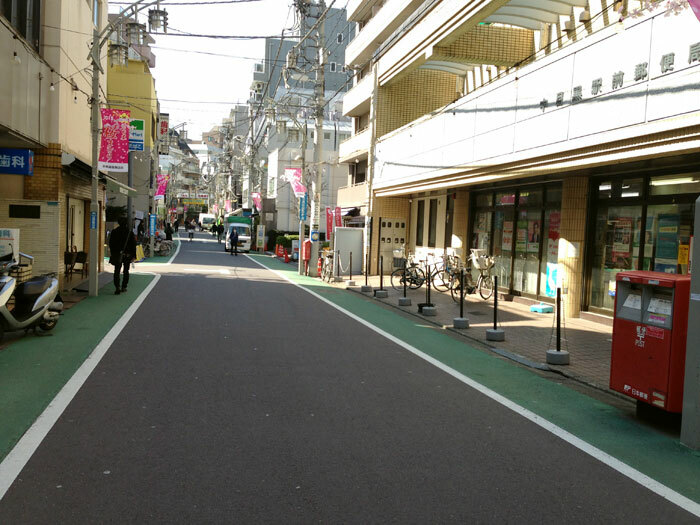 Find Aoyama Flower Market on the right side. 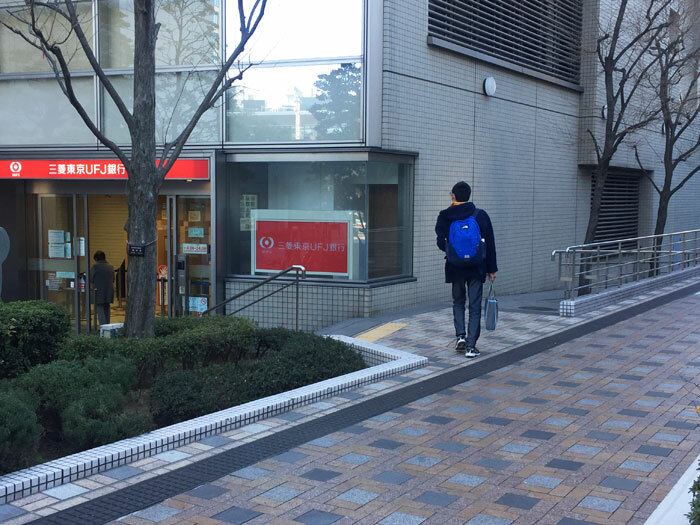 (2)Go up the stairs & turn right at the corner in the front of the Bank of Tokyo-Mitsubishi UFJ. 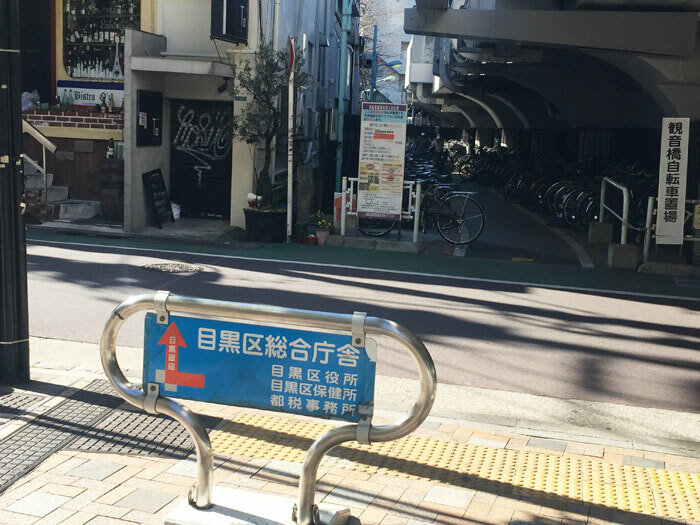 (3)Turn left at the corner of the bicycle Parking. 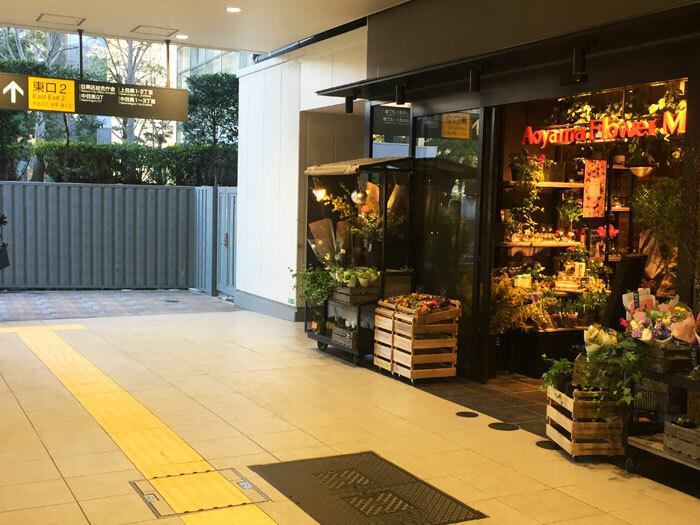 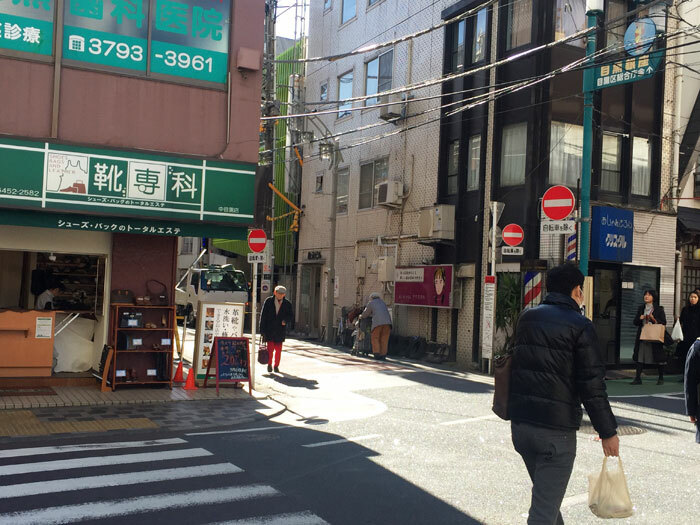 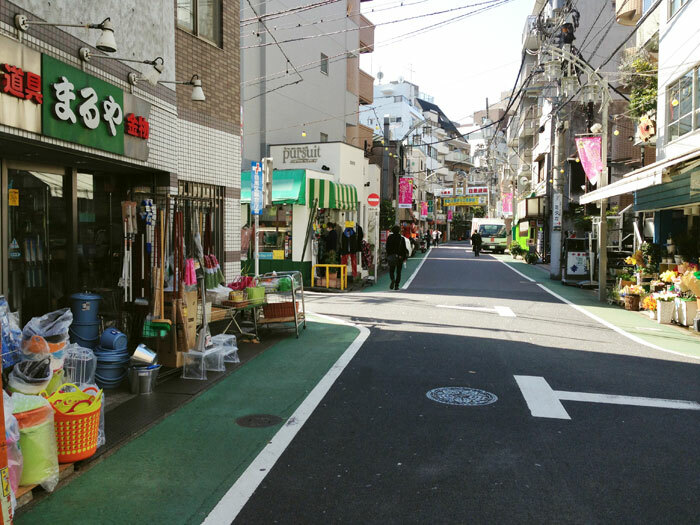 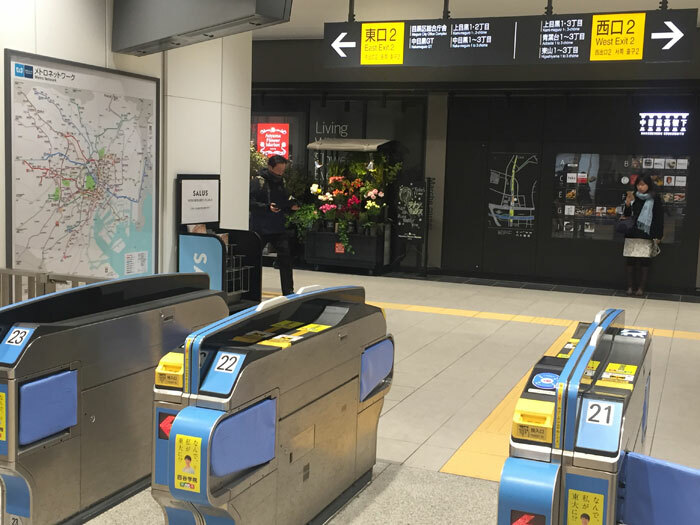 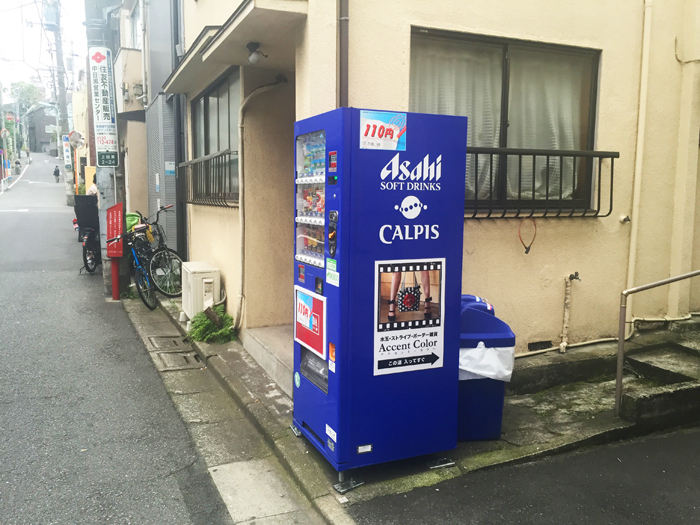 (4)Turn right at the corner of "Kutsu Senka (repair shop for shoes) & go down on Meguro Ginza Shoutengai St.
< (5)After a few minutes, you can find Post Office on your right side & Family Mart on your left side. 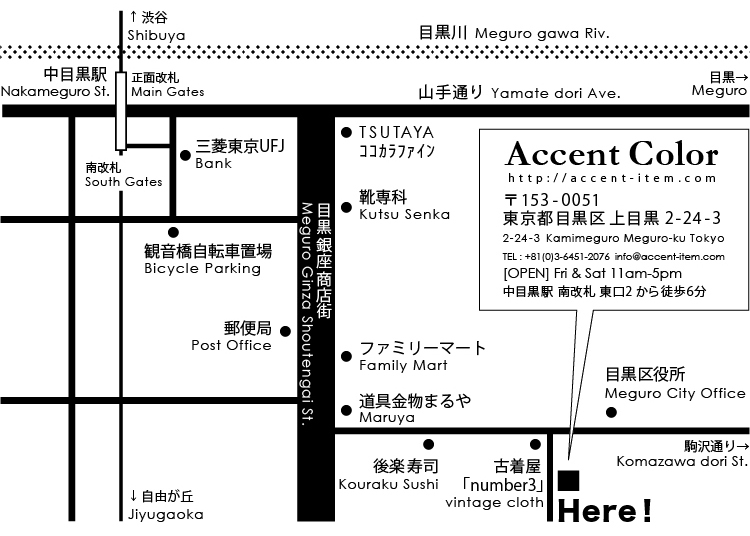 (6)Over Family Mart, turn left at the corner of Maruya (DIY shop). 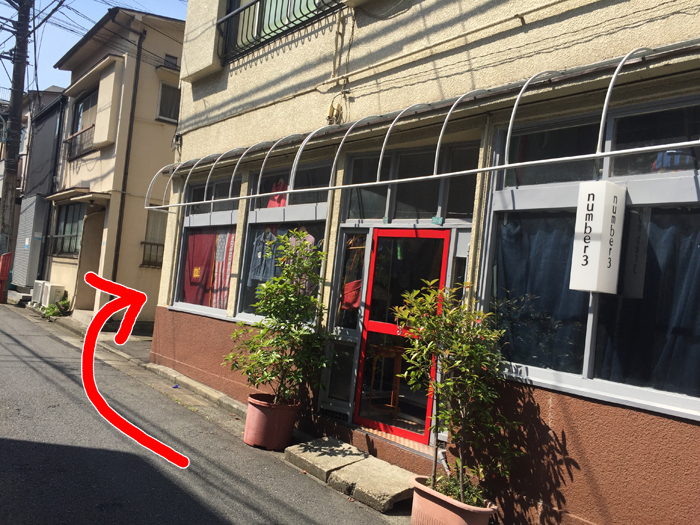 (7)Over Kouraku Sushi on the right side. 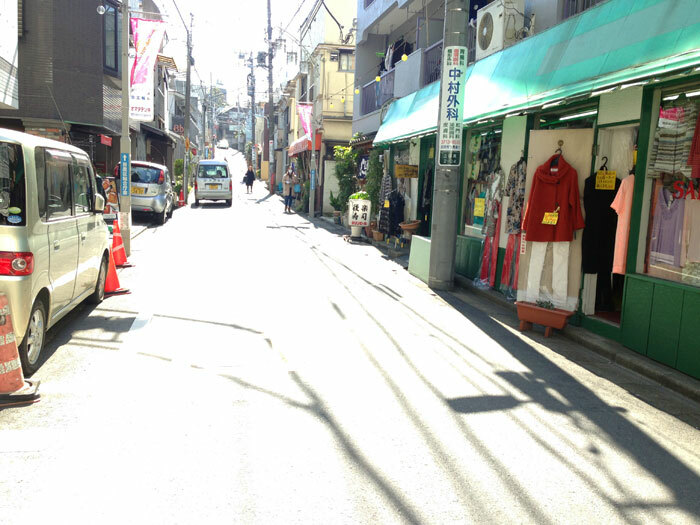 (8)Turn right at the corner of 「number3」(used cloth shop). 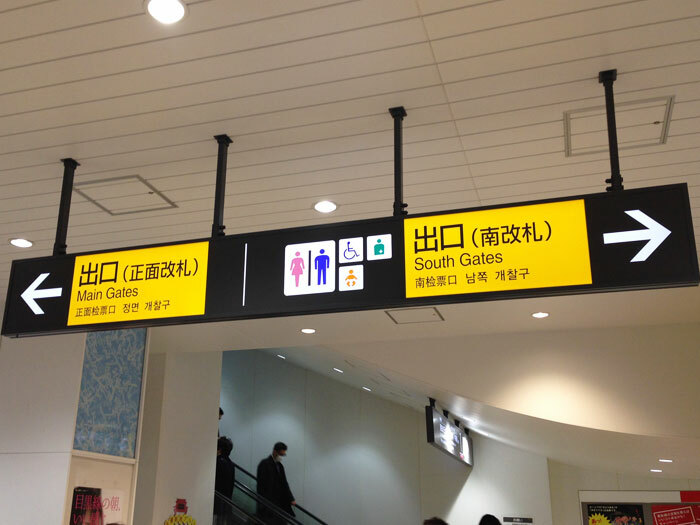 (9)You can find Accent Color on the left side of the private path.